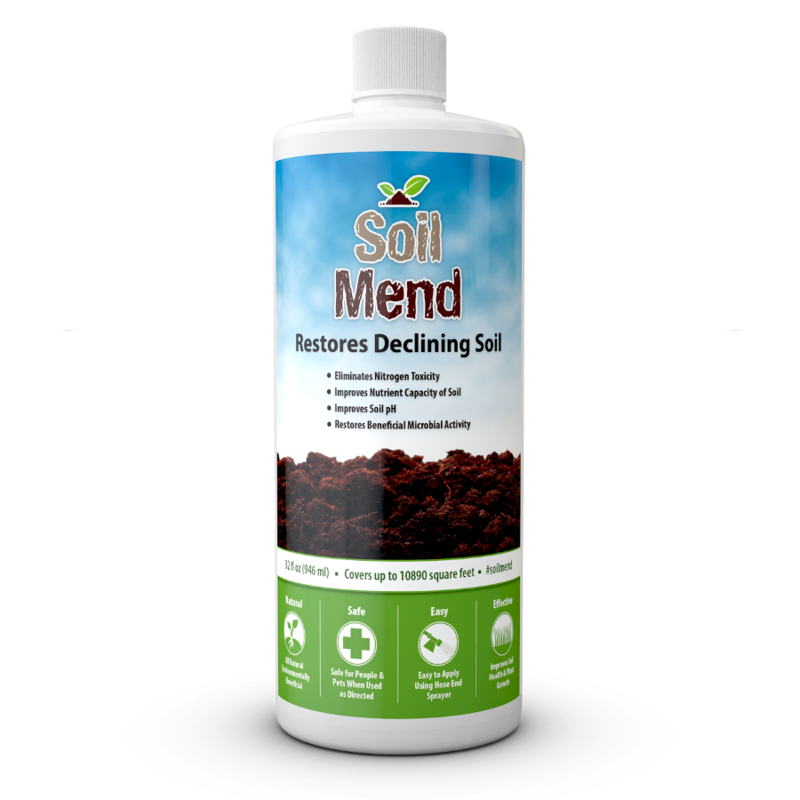 SoilMend™ brings formerly productive soil back to life. 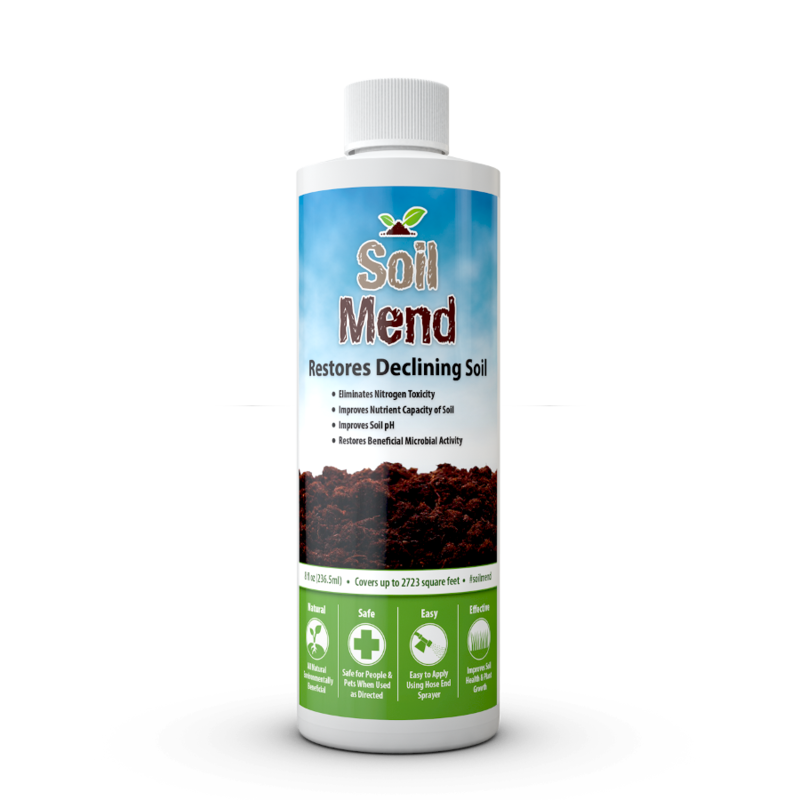 Soil can become unproductive over time where excessive amounts of nitrogen can build-up and reduce normal biological activity in the soil. In addition destructive salt may accumulate over time from some irrigation waters negatively impacting soil biology, soil structure, and soil pH. 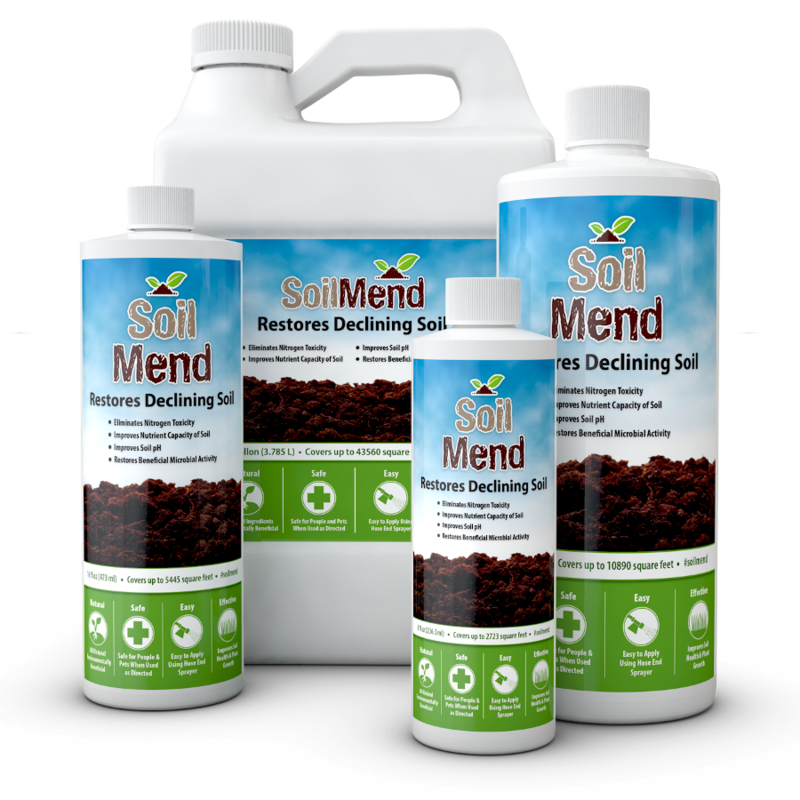 SoilMend™ works to improve the soil environment to restore soil to its formerly productive state. 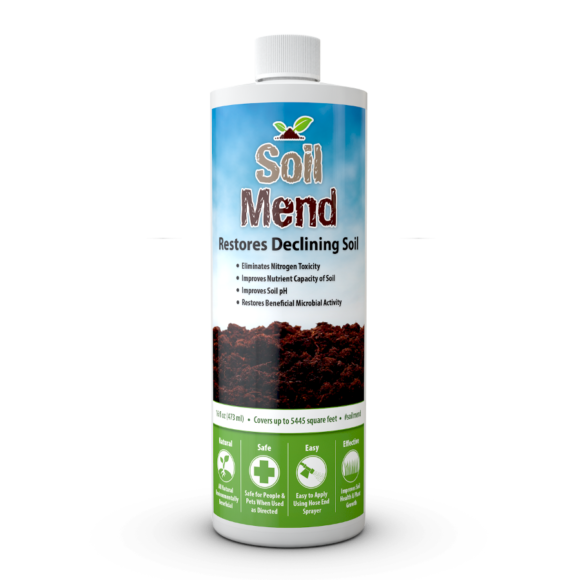 SoilMend™ can help you achieve more abundant healthy plant growth in diminished rundown soil. 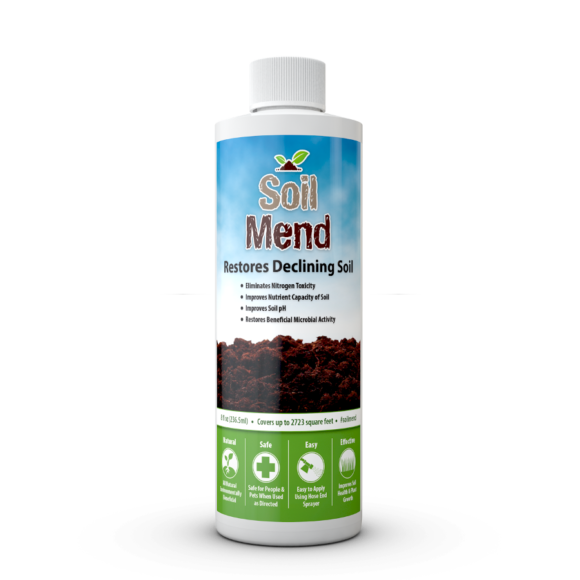 Apply 0.294 oz (8.69 ml) of SoilMend™ per 100 square feet of lawn or garden 4-5 times the first year then 1-2 times per year thereafter. SoilMend™ is applied based on ounces per square feet not ounces per gallon. 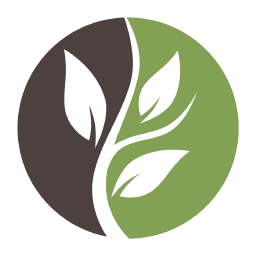 Preparation: Measure the square footage of the lawn or garden area you would like to treat. 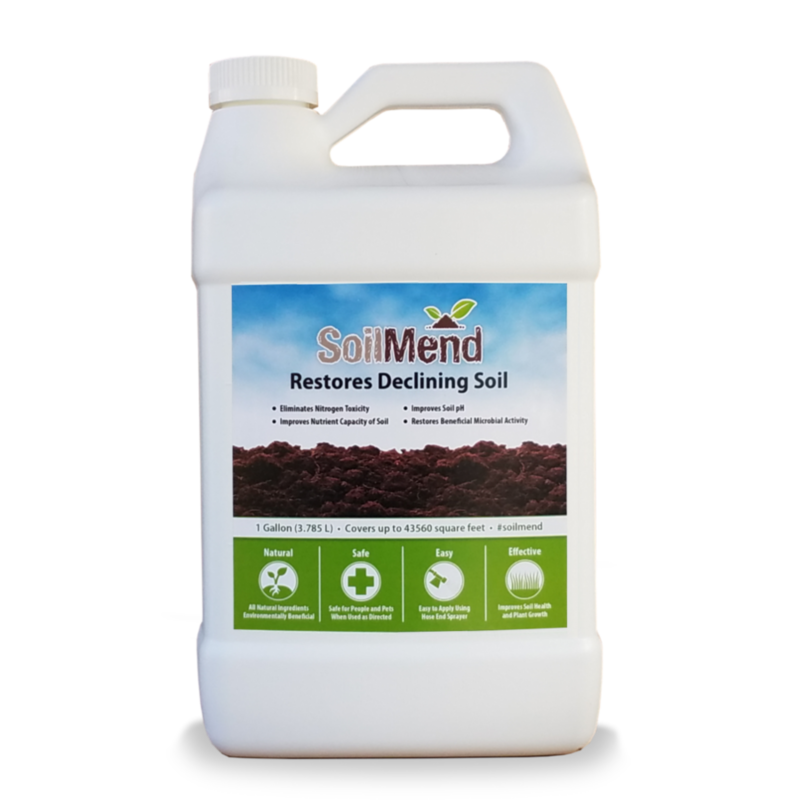 Undiluted SoilMend™ can be stored for up to 60 months in a closed upright position near room temperature.